← Me…on the radio this weekend! 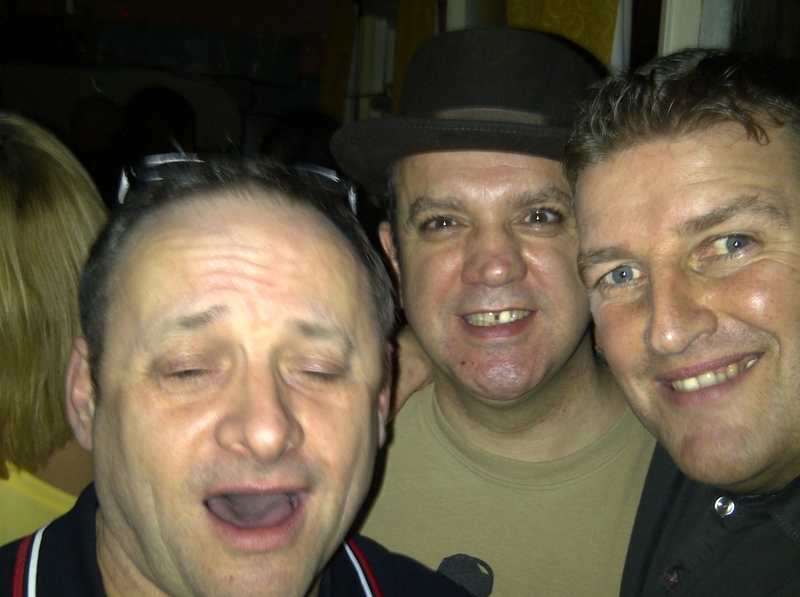 Well, I survived my weekend of madness in St Albans and Canvey…and what a weekend it was! A big thank you to Jonny & Gino for having me on their Saturday Soulmine show on Zero Radio on Saturday – it was a blast and we gave a first play to the forthcoming West Coast Soulstars single – Soul Redemption. Hell, we were even joined in the studio by the main man himself, Eli Thompson. A great new track and a fantastic response by all who listened. Then it was onto ‘Soul By The Jetty’ on the sea front at Canvey (is it the sea or the estuary???) and what a night it was!! Lovely people, top music and quite a few beers were quaffed! It reminded me of a mini Caister!! I have to say a big ‘hi’ to all the lovely peeps there including (deep breathe and apologies if I miss anyone out): Mr & Mrs Goldsmith, Mick Love, JJ & Tez, Mark-Lee Horner, Jane, Reg & Lisa, Mr Messy, Tony Matthews & Roni, Gary Dennis, Sharon & Denise, Merv, Paul, Andy and not forgetting Mrs Julie Layton – especially as her and Jonny put me up for the night!! A fab night all round!! Then on Sunday, I headed over to my old mucker’s radio show on Stomp – Jim Jackson, where we had a great time spinning some tunes, old and new, whilst shooting the breeze with all the lovely folks in the chatroom. The perfect way to end a perfect weekend. Thank you to all involved! !